HMH Books for Young Readers, 9780618563173, 256pp. It’s 1954, a year when polio, known as the great crippler of children, terrified parents. Jesse’s mom won’t let him go to the playground or hang out with friends for fear that he will catch the disease—so Jesse stays home, making up his own games with his grandfather and dog, Gort. No matter what Jesse does, he can’t seem to please his father, who wanted a basketball-baseball-football kind of son. Instead, Jesse spends his days drawing pictures, watching cowboy movies, and playing war with his army of metal soldiers. Then polio strikes, paralyzing Jesse’s legs. 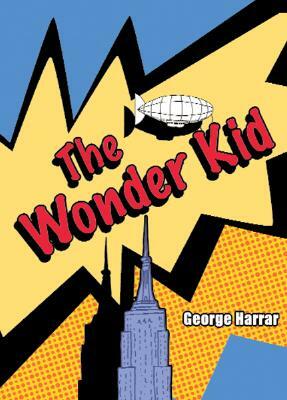 With the help of an unlikely girlfriend, Jesse turns his imagination to creating comic strips, reinterpreting his life as The Wonder Kid, with the power to make things happen by thinking them. Harrar adeptly maintains a boy's perspective while inserting humor, trivia, and historical information into an otherwise harrowing situation.